The massive cost overruns on Eskom’s new power stations mean huge and unaffordable increases in future electricity tariffs, says the Cape Chamber of Commerce and Industry. “We are afraid there is no escape from the consequences of the quadrupling in the cost of the Ingula pump storage scheme and the doubling of the costs of the two coal-fired power stations, Medupi and Kusile,” says Janine Myburgh, President of the Chamber. The original cost estimate for Ingula was R8,9bn but this has now ballooned to R36bn. In April 2007 the cost of Medupi was estimated at R69,1bn but in July this year costs were, according to Eskom, R135bn while the cost of Kusile has increased from R80,6bn to R135bn. “We learn two things from these figures,” says Myburgh. Myburgh says the recent study by the CSIR found that the cheapest “new build” option for additional electricity was a combination of wind, PV solar and gas. “These three technologies are all ‘quick builds’ and their recent history shows projects are completed on time and on budget and they are not subject to the annual costs increases we see in coal-fired power stations,” says Myburgh. Eskom had now decided that it did not want to buy any more electricity from independent power producers. An electrical geyser contributes between 39% and 50% towards your home’s electrical bill. This translates to between R390 and R500 per R1000 of your electrical bill. The biggest saving for South Africa is when we use less electricity during the peak hours (high demand) and we also set the timers to work outside those peak hours. You contribute towards a healthier South Africa!! 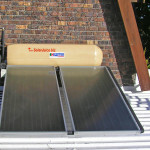 Solar water heating without the rebate? It still makes a lot of sense!! 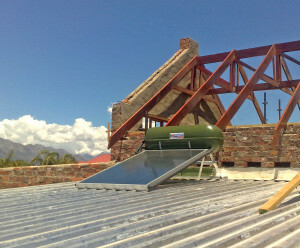 The solar water heating rebates introduced in 2008 ended in April 2015 and whether they will return is a matter of debate within both the industry and among consumers. SESSA doesn’t know whether the rebate programme will be reinstated and if so, what form it will take. However, the conditions for solar water heating have shifted markedly over the last 7 years with the steep increase in electricity tariffs making the notion of ‘going solar’ increasingly attractive. 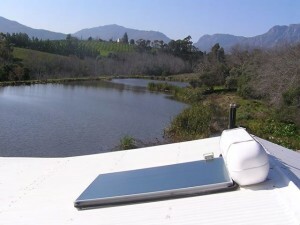 Projected savings through solar water heating show that over the next 5 years and assuming a modest annual tariff increase of 8.5%, one will achieve, in Rand terms, as big a saving or indeed even more as you would have if you had invested in a solar water heating system at any time during which the rebate was available. *SESSA Solar Water Heating Chair, James Green, takes us through the numbers. 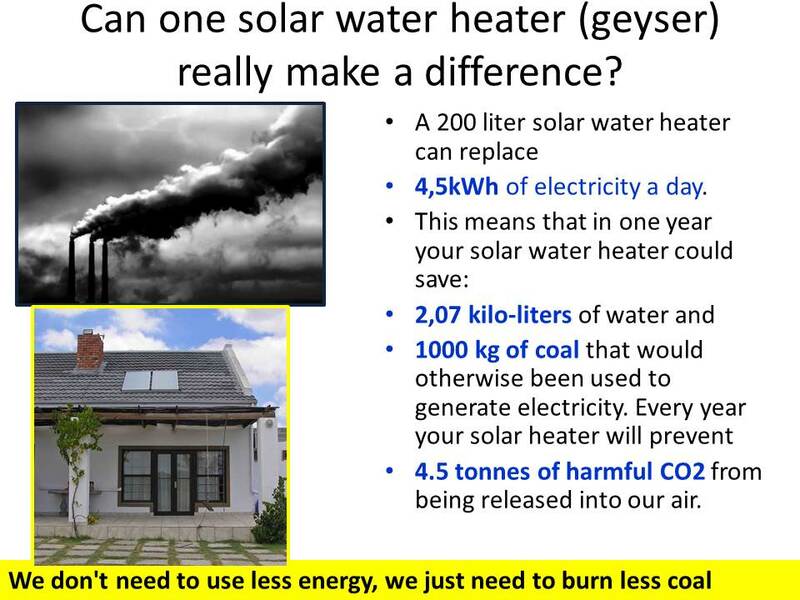 Let’s look at a few facts as to why and how solar water heating should now be approached. The cost of electricity has gone up by 100% since 2008, and energy efficiency is now more relevant than ever before. Over the next 5 years it is likely that the kWh price will increase by another 50% or more. Choosing a solar water heater is quite daunting. It sounds like a great idea, but do you know what you are actually going to get? Unfortunately it is not as simple as comparing an LED bulb with a 6 Watt rating, giving the same light output (measured in lumens) as a 60 Watt incandescent bulb. Here you can easily work out that you are saving 44 Watts per hour for the same energy service. 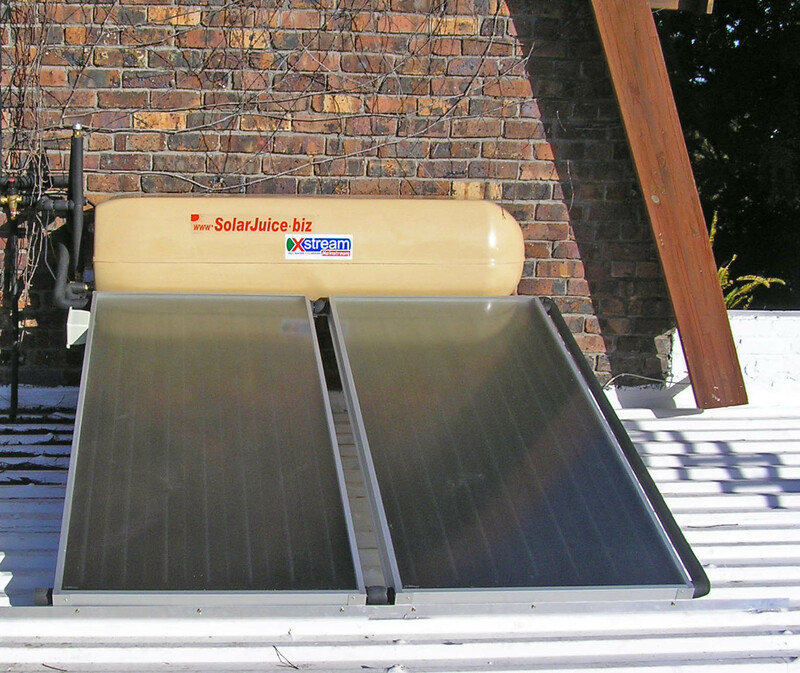 When it comes to solar water heating, you need to have some understanding of how much electricity you are using in heating water by electricity. 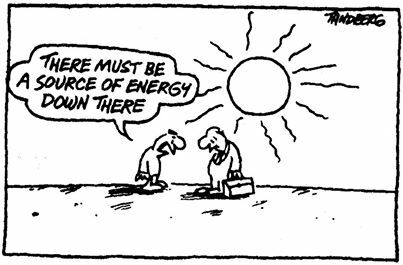 Then you can determine which solar water heater is going to meet your energy savings needs and which represents the best value for money. For every 36 litres of hot water out of a shower at 40 °C the temperature most of us feel comfortable showering at, you will use 1 kWh of electricity (This is calculated using formulas that take the specific heat capacity of water and average municipal cold water temperatures into account). Most showers use 16-20 litres per minute, so a 5 minute shower will use between 90 and 100 litres of hot water at 40°C. Dividing 90 litres by 36 litres gives you 2.5 kWh and at 100 litres, 2.77 kWh. With 4 people in the home all showering for 5 minutes once a day, the energy used amounts to 10kWh at 16 litres per minute or 11.11 kWh at 20 litres per minute. Using an average kWh cost including VAT of R1,85 in 2015, that accounts for an amount on the electricity bill of R564 to R627 per month respectively. Hot water use monitoring shows that hot water use at 40 °C ranges from 130 litres per person per day to as high as 220 litres per person per day, depending on seasons, regional variations and lifestyle. To put that in perspective, for a 4 person home and at a tariff of R1.85 per kWh, usage at 130 litres of hot water per person per day accounts for an amount of R815 per month and at 220 litres per day R1 378 per month. How much hot water do you use in your home? A simple exercise is to add up all the minutes your family members spend in the shower in a 24-hour period. We suggest you do 3 different sample days and average the result. Then multiply the minutes by 16 litres for conservative hot water use or 20 litres for generous hot water use. Take the total and divide by 36 to get the kWh consumption. Take the deemed kWh output per day, and multiply that by your cost per kWh from Eskom or your municipality. That gives you a Rand figure per day for savings. Divide that into the installed cost of the solar water heating system, to get the payback point or break-even point in days on your investment. Calculate your savings over a number of years. Take the daily Rand savings on the system for Year 1 (multiply by 365), and add it to Year 2 having increased the savings by inflation (8% is a conservative figure), and repeat over future years. So finally back to the question of rebates. Does it still make sense to go solar without rebates. The answer is a resounding YES! If you had bought a 150l SWH in 2008 with an output of 7,5kWh per day you would have saved approx. R22,000 over 5 years including the rebate. If you had bought the same system in 2014 it would save you R33,400 over 5 years including the rebate. If you bought the same system today without the rebate it would save you R30,000 over 5 years. So even without the rebate it makes total sense to go solar and indeed every year the price of electricity goes up it makes even more sense. Article written by James Hart (Solar Water Heating Chair) for Sessa. * Solar Juice is a paid-up Corporate Class A member of Sessa (Sustainable Energy Society Southern Africa). You are welcome to contact us if you want to find out more about how to lower your electricity consumption & carbon footprint via solar geyser or heat pump installations. This entry was posted in Eskom rebate, Geyser water heating, news and tagged building a new home, Building plans, Cape Town, choosing a solar geyser installer, Electricity savings, energy efficiency, Lower electricity consumption, member of Sessa, No more rebates, No rebate, Paarl, rebate for solar water heating, rebate for SWH, Reduce electricity consumption, Somerset West, Stellenbosch, Strand, Which company installs solar geysers in the Western Cape, Which company installs SWH in Somerset West on August 25, 2015 by Hannetjie. Are you building a new house and need a quote for a solar geyser/heat pump or pool heating? Let us help you in this regard – it is what we love to do. Extract from Government Gazette: 9 September 2011. 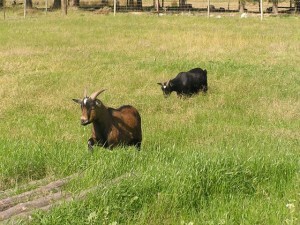 “New Building Regulations (for new buildings) – with effect from 10 November 2011. You are welcome to email your building plans to us at Leon.Needham@solarjuice.co.za so that we can provide you with a quotation. We’ll consult with you to get all the necessary information in order to give you a quote which is suitable for your home. In this picture, the geyser is colour coded and will match the roof at the back when completed. You can also choose whether you want the geyser on the roof or inside the roof. We can discuss the various options with you – this will help you to make an informed decision. This entry was posted in Solar geyser or heat pump quotes for new buildings and tagged building a new home, building legislation, Building plans, Cape Town, energy, energy efficiency, heat pump, Helderberg, Paarl, solar geyser quotes, Solar swimming pool heating, solar water heater quote, Somerset West, Stellenbosch, Xstream geyser on February 28, 2014 by Hannetjie. Which solar water heating system/heat pump to install? “should recommend temps a system to you, based on your home, family size, hot water usage patterns, location cheap nba jerseys and budget” wholesale nba jerseys (Eskom: 2013). If your geyser’s size is too small/big for your household’s needs, Professores it will impact negatively on your potential Jesus monthly electricity savings. We at Solar Juice visit your house/premises (Cape wholesale mlb jerseys Town and surrounds) for a near free on-site discussion and cheap nfl jerseys quotation as was the case with this Kuils installation outside Wellington. During the installation, we had visitors!! Small and cute and friendly. This entry was posted in news and tagged building a new home, Building plans, Cape Town, Eskom rebate, heat pump, Helderberg, Reduce electricity consumption, solar geyser, Solar geyser installation at Wellington, Solar water heating, Stellenbosch, Which company installs solar geysers in the Western Cape, Which company installs SWH in Somerset West, Xstream geyser on August 4, 2013 by Hannetjie.